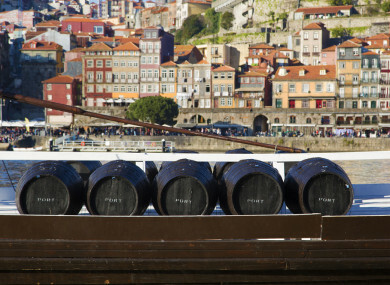 Five wine barrels in Porto, Portugal. 1. #HOUSING CRISIS: A large group of people are currently sitting in the pouring rain in a bid to secure a deposit on a home in Dublin 15. 2. #GARDA WHISTLEBLOWER: “After everything, I don’t know how the man is sitting here at the Tribunal today”: Fianna Fáil TD John McGuinness spoke about Maurice McCabe at the Disclosures Tribunal. 3. #ON YOUR MARKS: Fundraising for the Eighth Amendment referendum campaigns from both the Yes and No side of the debate has taken centre stage. 4. #SALISBURY: Yulia Skripal, who was poisoned along with her father in a nerve agent attack in England, has been discharged from the hospital. 5. #BLAST FROM THE PAST: David Trimble, former First Minister of Northern Ireland, has criticised Leo Varadkar’s tenure of as Taoiseach, claiming he has not been a positive change for the country. Comments have been closed for legal reasons relating to one of the stories above.